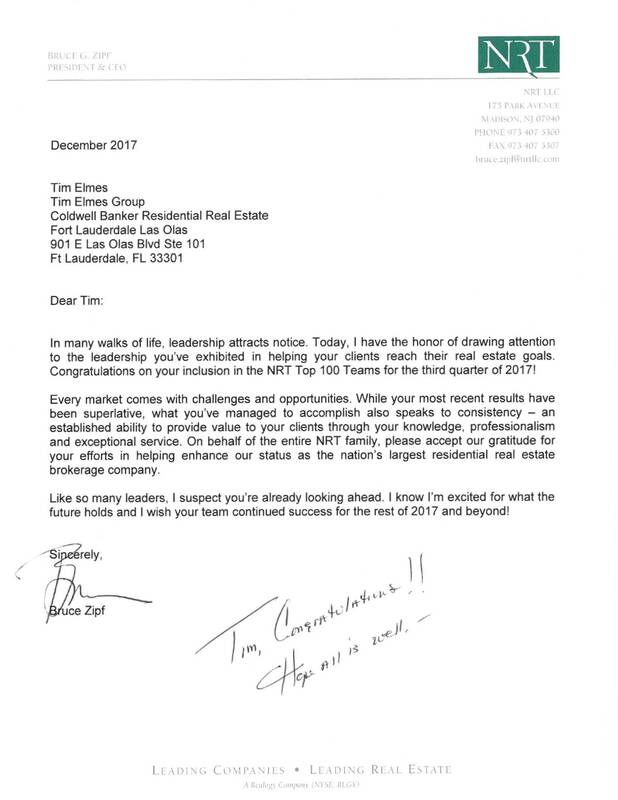 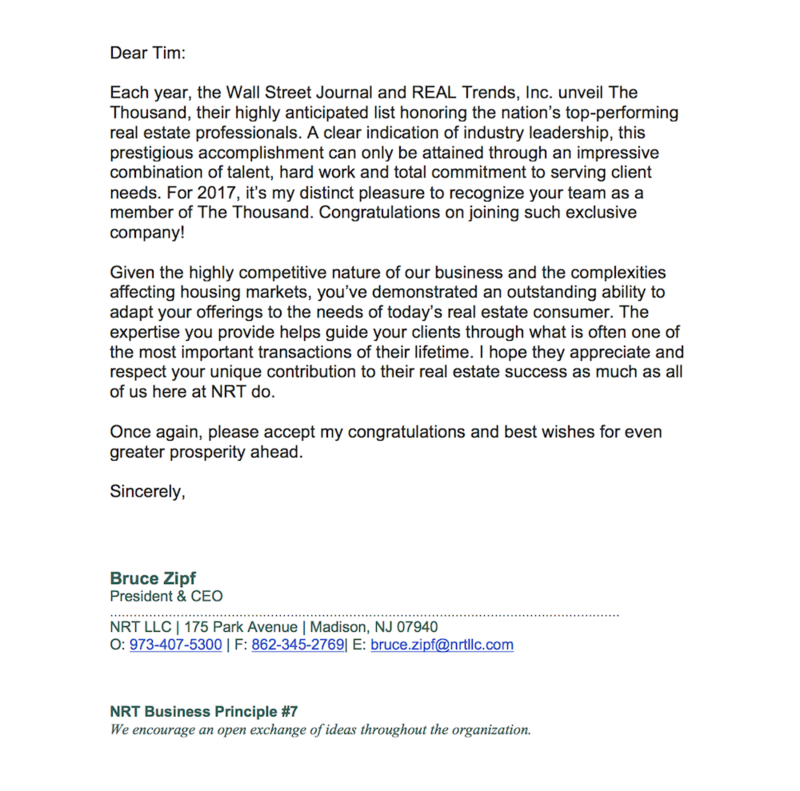 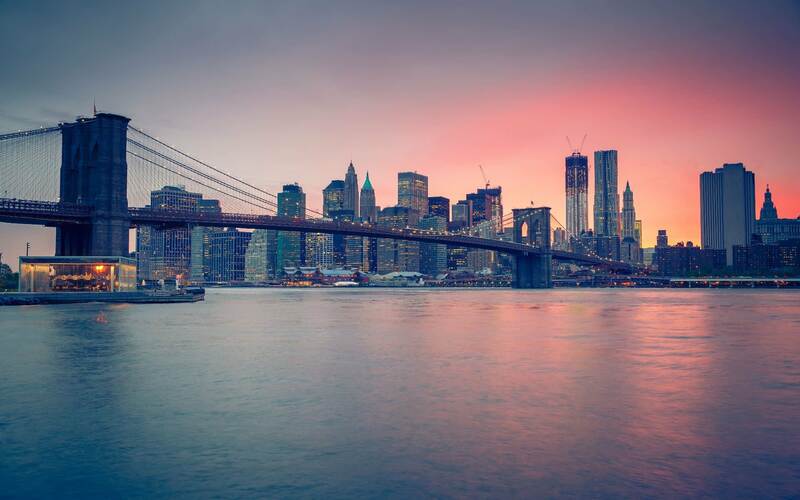 NRT, the nation’s largest residential real estate brokerage company, recently recognized luxury real estate agent, Tim Elmes for becoming a member of the NRT Top 100 Teams in the second and third quarter of 2016. 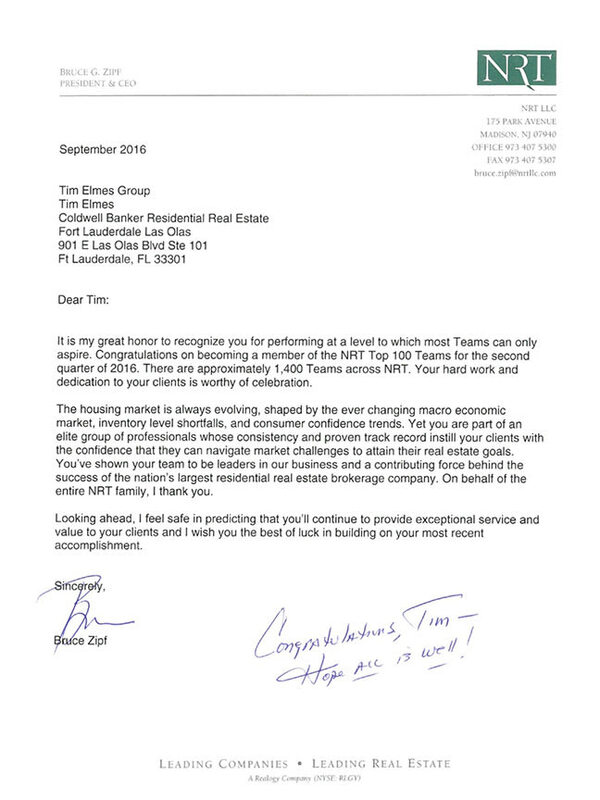 With more than 1,400 teams across the NRT, this is a notable achievement that speaks to Tim’s commitment, dedication and service to his clients, and to his team. 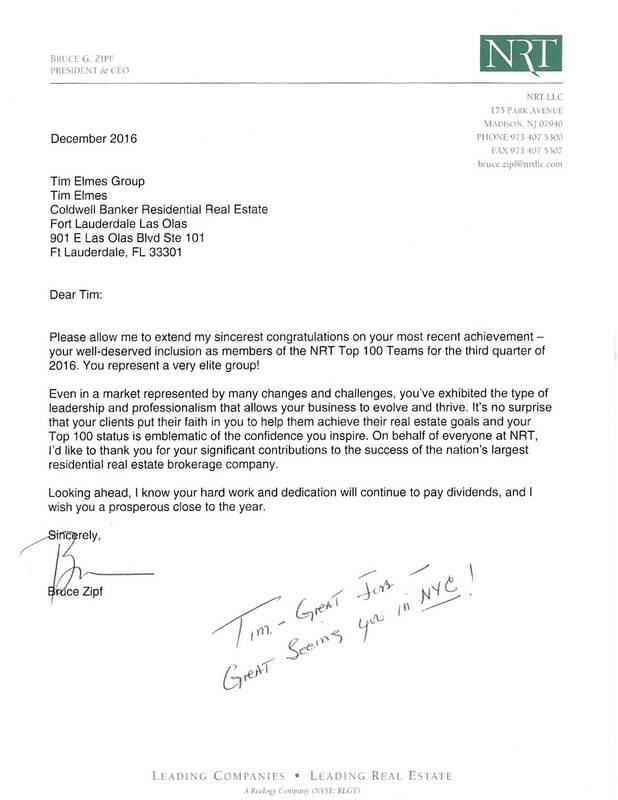 Tim Elmes has been a leader in his market for more than 25 years, with more than $1.5B in sales. 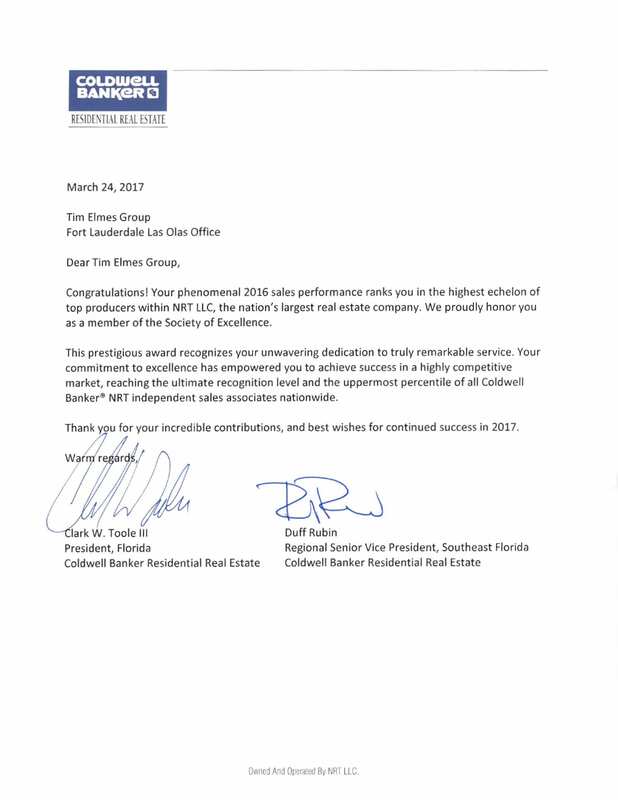 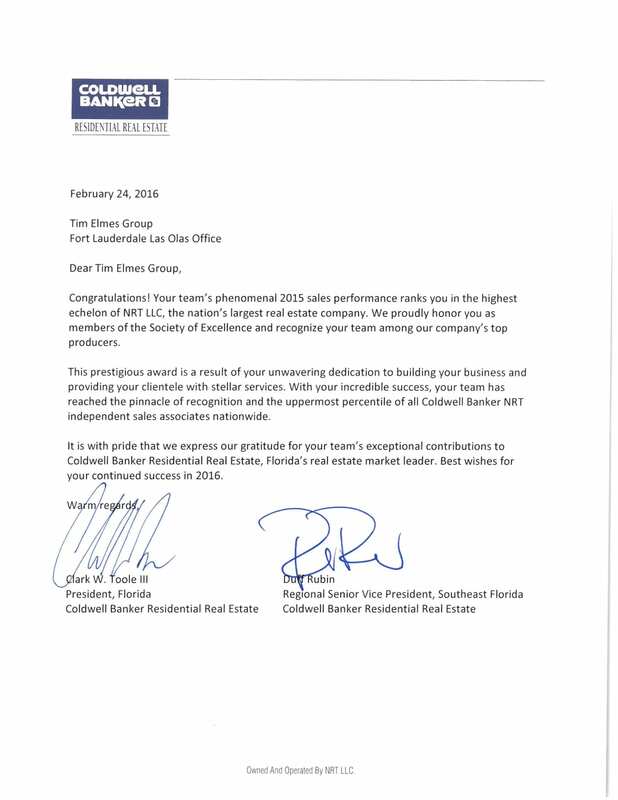 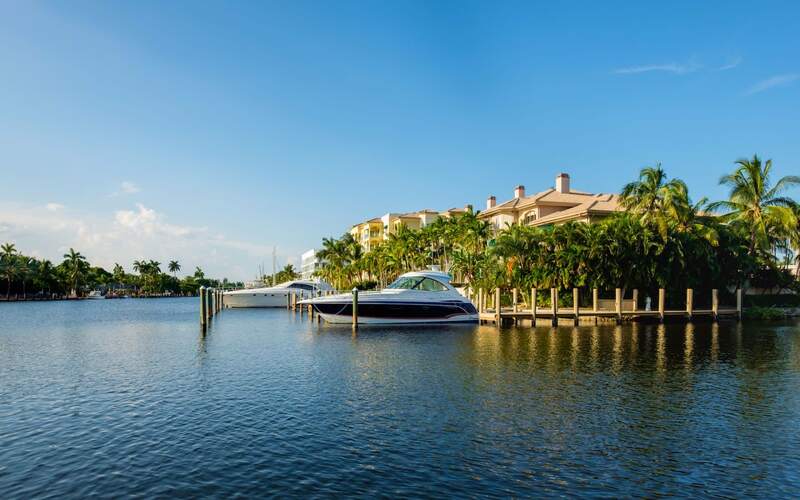 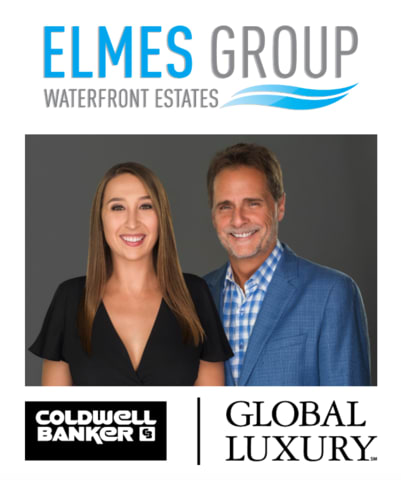 His ability to deliver nuanced, personal service and superior results to his clients has earned him a reputation for excellence in South Florida’s luxury waterfront real estate market. 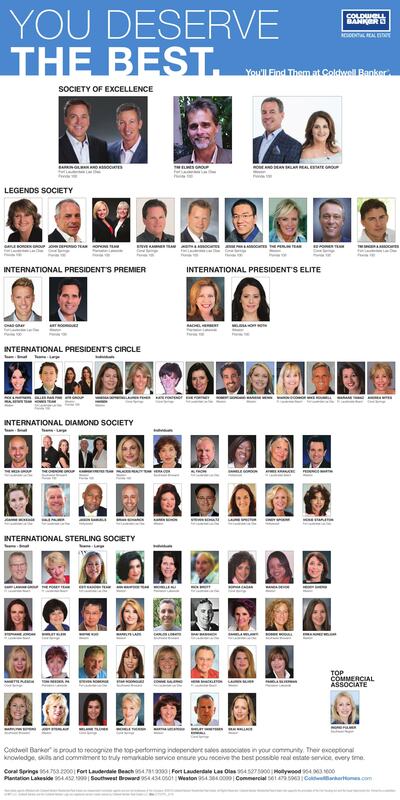 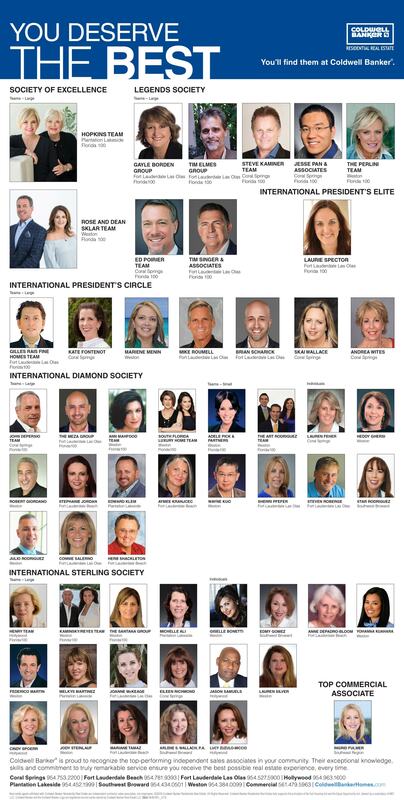 Named to the 2018 REAL Trends America’s Best Real Estate Professionals Sponsored by Adwerx in Fort Lauderdale.